For the last couple weeks I've kept my thank you card for Friday, but this week I thought I'd change it up a bit and post that card yesterday. The post title is a BIT of a giveaway of today's theme LOL. Yep, Congrats. What for? For making it to Friday for one thing and if you're celebrating anything else, well, congrats for that too! 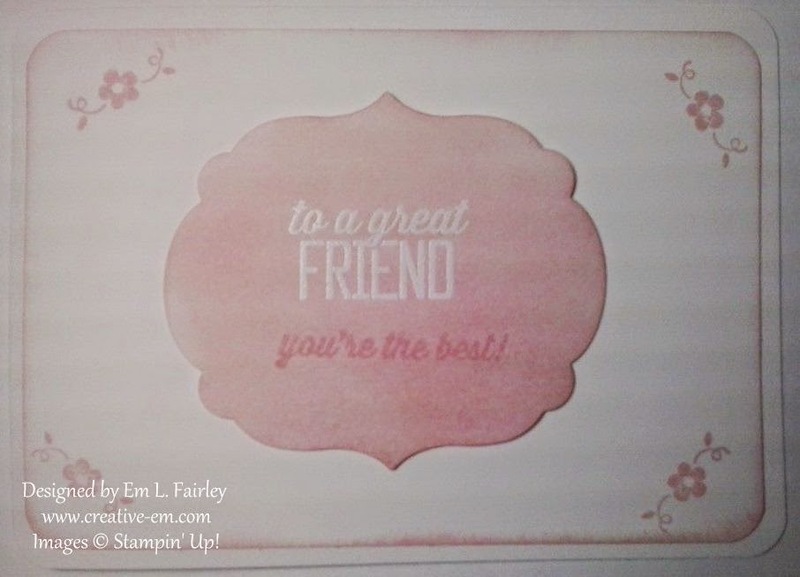 Today's card is another quick and easy CAS creation using the Simply Wonderful stamp set and Best Year Ever DSP from Stampin' Up! Both are available FREE during Sale-A-Bration when you spend £45 or more (buying the other elements for the card will get you one free item). Cut and fold Whisper White card to create the base. Punch diagonally opposite corners. Cut piece of Best Year Ever DSP (I cut mine ¼" smaller than the base). Round the corners and attach to base card with Snail. Stamp the sentiment in Baked Brown Sugar ink onto Whisper White and cut with the smallest Labels Collection framelits die. 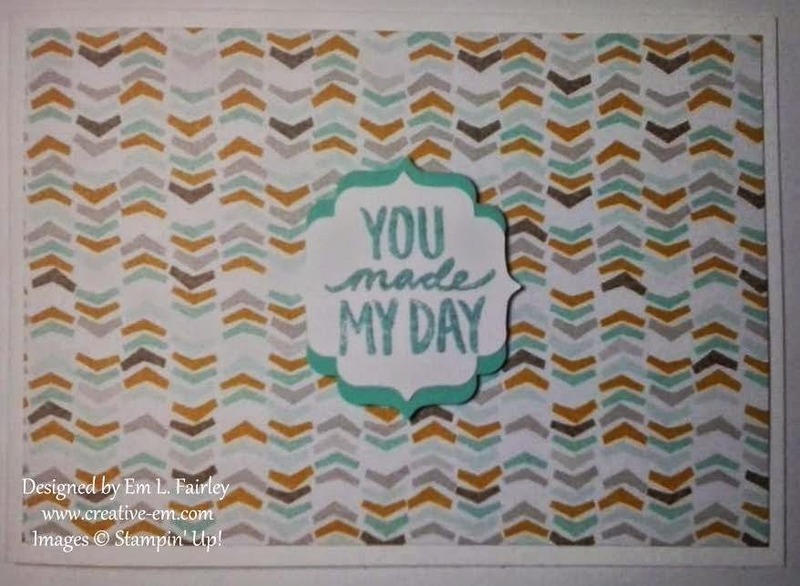 Pop up onto base card with Stampin' Dimensionals. Hmmm, maybe I don't really have a single favorite! I have great friends who ARE the best. I spent some time with one of those friends on Monday, who made my day. Wednesday's card was created to mark a very special day and milestone. I love the colors and simplicity of Thursday's and I'm so thankful for all of you. Today's could be to congratulate me on the milestone from Wednesday. Can YOU choose a favorite? Whatever you're doing this weekend, I hope you have a great and SAFE one! I'll be back on Monday at the start of another feature week, so I hope you'll join me then. 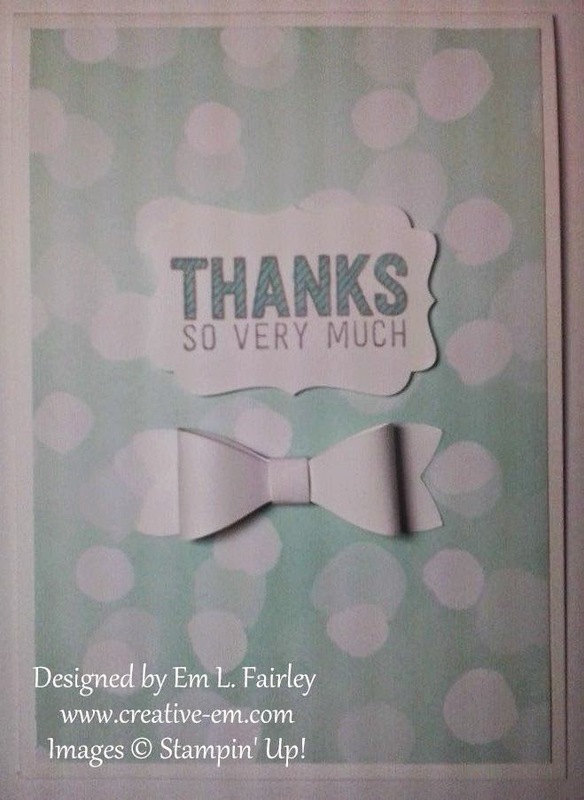 Labels: CAS, Congrats, DSP, Labels Collection Framelits, Sale-A-Bration, Stampin' Up! Nice card! Thanks for playing along at CYCI! 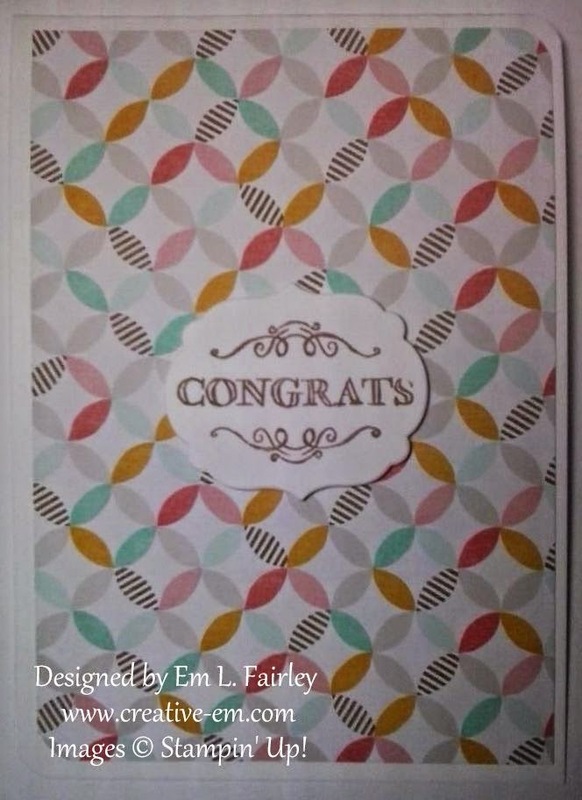 You used my favorite patterned paper for this card! Love it. Thanks for playing with us this week at CYCI. LOVE this card Em! And I can't pick a favourite from this week! Fab Em.....loving your new style blog.....its beautiful!!!! Great congrats card - I love this DSP! 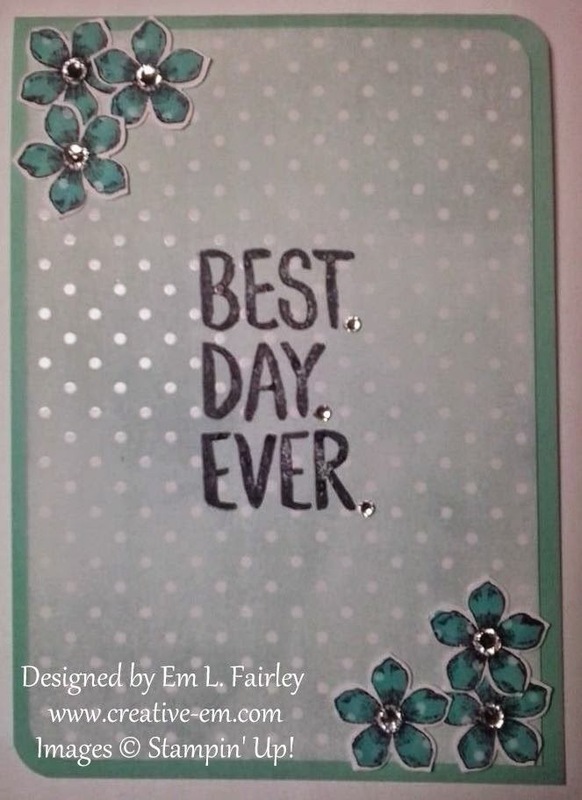 My favourite this week is Wednesday's Best Day Ever card! A lovely CAS design, Em! The gorgeous paper is a perfect background for the beautiful sentiment. Thank you for sharing it with us at Stamping Sensations.